Aline Fourier is a writer, symbolist painter, and multimedia artist. She has published Salt Marsh Reflections, a uniquely-bound book of poetry and photography of the Maine salt marsh where she lived for over fifteen years. Her prose works have been published in national magazines. 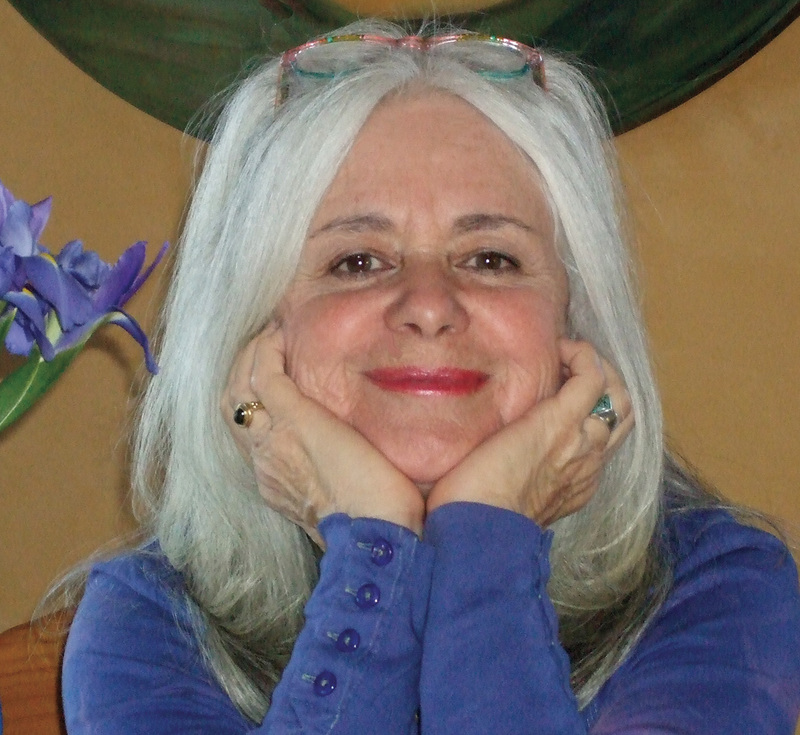 She is the founder of Creative Response, Inc., whose vision centers on the gathering together of creative persons to work on joint artistic projects that promote beauty and support individual and earth awareness and healing. She created “The Pain Reliever,” a healing tape with original music that has been marketed nationally for Hospice and for persons dealing with physical, emotional or spiritual pain. For over 15 years, Ms. Fourier had a practice in psychospiritual counseling and was the founder of Health Source, a network of health practitioners. She ran support groups for persons dealing with catastrophic illness, as well as grief support groups. Most recently, Ms. Fourier is giving wellness presentations in the graduate certificate program at Southwestern College, Santa Fe. She is also writing her next book, Another Room, an artful anthology of creative expressions on death, dying and the unbroken continuity of life. Aline Fourier received her Masters in Special Education, trained in Psychosynthesis Counseling with Dr. Tom Yeomans and in Mandala Symbolism with Dr. Robert Johnson, author and Jungian therapist. Her background has been quite eclectic, including extensive study in Eastern and Western psychological disciplines and shamanism. Professionally applying these experiences, Ms.Fourier conducts grief and trauma workshops, workshops focused on exploring the power of the imagination, and awakening the child, who is the spontaneous explorer within us all. Ms. Fourier lives with her husband, Jonathan, and her dog, Caleb, on a ranch in Cerrillos, New Mexico, just outside Santa Fe. There they opened the Ortiz Mountain Gallery, where she displays her artwork. She presently devotes all her time to her writing, painting, healing work and caretaking the earth where she lives.